Well, this is pretty surprising. After confirming to us just a few weeks back that he was hard at work on Justice League Dark, director Doug Liman has now departed the project. Scheduling conflicts are the official reason given for the exit, though who knows if that’s true. According to Variety’s report, Warner Bros. wants to get the project off the ground soon, which is why they won’t wait for the director to finish up with his other commitments. Namely, Chaos Walking, which stars Daisy Ridley and Tom Holland. From what we understand, the studio is already meeting with replacements and whoever they bring on board will “play a major role in the new” DC Cinematic Universe. As of yet, there’s no word on who may be emerging as the frontrunner, but THR notes that IT director Andy Muschietti is high on the list, along with several others. He’d be a good choice, too, as he’s shown a knack for creating dark, supernatural thrillers, and the aforementioned Stephen King adaptation has a ton of positive buzz surrounding it at the moment. Circling back to Liman though, and what’s particularly interesting about this is that Justice League Dark isn’t the first time he’s signed on for a comic book movie only to then walk away. He did the same thing for Gambit, which he left in order to helm WB’s project. Now, he’s done it again, leading us to wonder if there’s something else going on behind the scenes that we’re just not being told about. It’s possible, but we also may be reading too much into things. 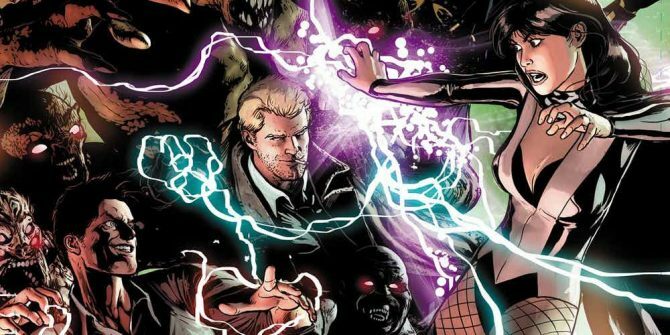 Either way, Justice League Dark is now without a director, though with the studio aggressively searching for a new one, we expect to hear about a replacement soon. As always, watch this space for more.